In the last few years whenever I visited Kolkata, my friends there had asked me to try out Bohemian. 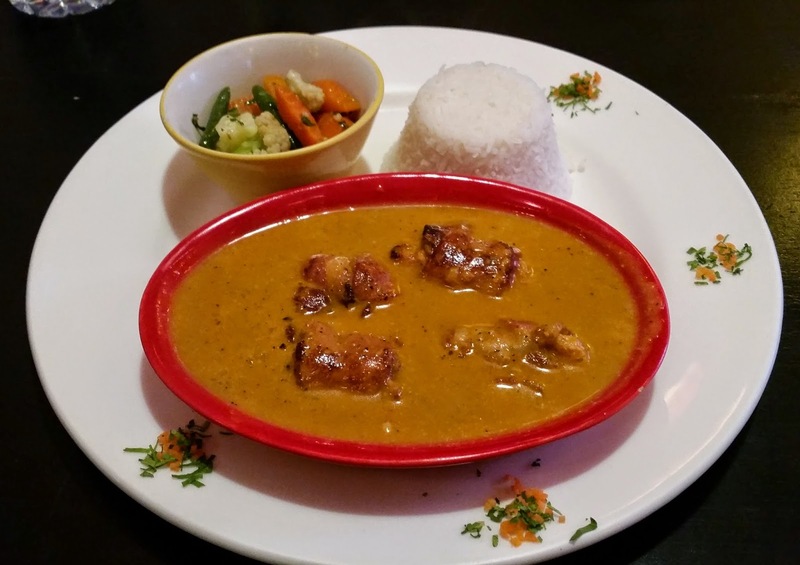 I was told that the cuisine offered here has some imaginative experimentation specifically with traditional Bengali cuisine, and no other restaurant has done similar work. Though the concept looked extremely interesting, I could finally visit this restaurant only during my trip in January. 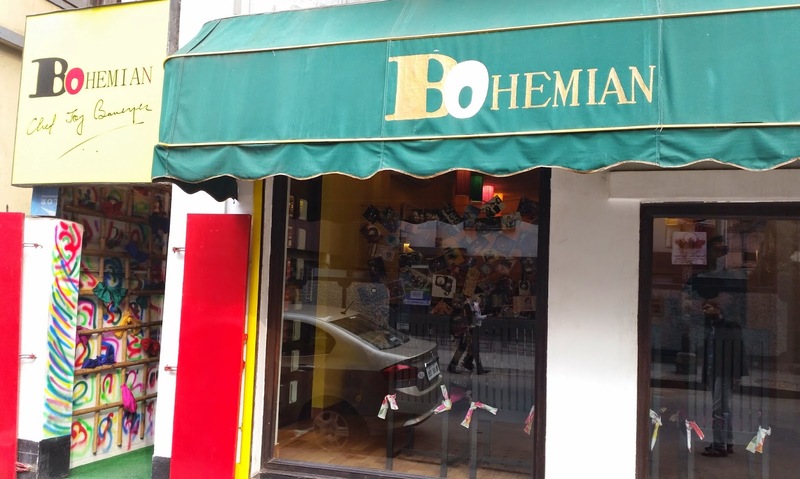 Like many of the newer eateries in Kolkata, Bohemian is a boutique restaurant tucked inside a residential lane, very close to the Sitala Mandir on Bondel Road. The restaurant has two separate entrances for the two floors. As we could not get a table on the ground floor we dashed upstairs to a more spacious setup. The place has a no frilled décor with posters of famous pop singers adorning some of the walls. I could also notice a few framed photos from Ladakh as well as a collection of masks, and some other artifacts from rural Bengal. As we looked through the menu, I understood what my friends had been talking about. Bengali spices and ingredients like radhuni, pachphoron, kalojeera and kasundi have been used in many of the dishes, so have been traditionally Bengali greens and fruits like kolmi shaak, gandharaj lemon or Bengal berries (kul). However uses of these ingredients have been done in an off beat manner and the food is experimental in content as well as presentation. The combo section of the menu interested me the most and it was a challenge to choose among the interesting dishes. I felt like ordering a lot of items, but since there were only three of us, we had to settle for three main courses. 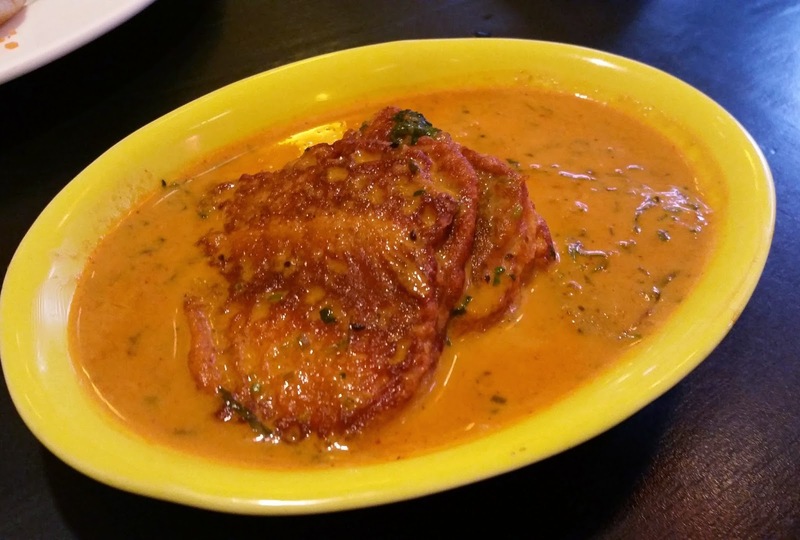 The fish item we went for was Spicy Grilled Bhetki with Radhuni Enriched Curry Sauce. This was served with steamed rice and saag. The radhuni (wild celery seeds) flavor was subtle in the curry, which was spicy but not rich. We also loved the shaak served with it – it was exactly as they are cooked at home. The Bacon Wrapped Chicken bundle with Aam Kasundi Reduction was another experiment we tried out. Aam kasundi or mustard mango sauce is a Bengali delicacy which adds zing to many dishes. The dish was presented with rice and sautéed vegetables. I liked the concept but was slightly disappointed with the preparation as the flavor of aam kasundi was very mild in the curry. 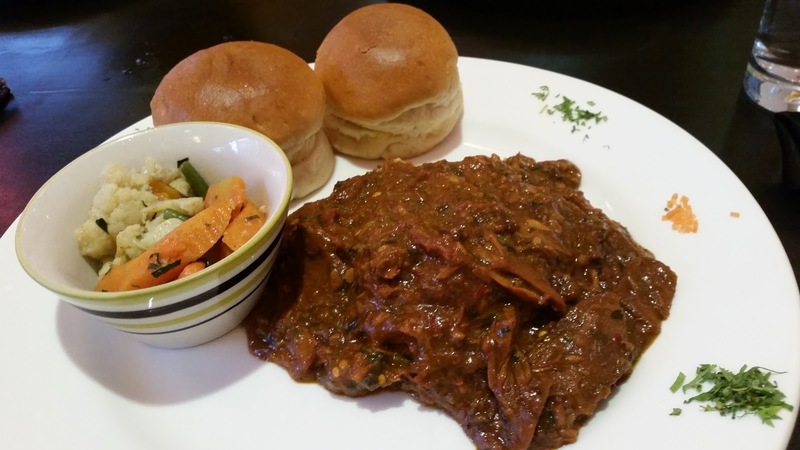 But the best of the combos we tried was the Royal Bengal Mutton with Bhuna Sauce. The bhuna sauce was very tasty and the slices of boneless mutton worked well with it, along with a layer of mashed potatoes which was placed underneath. The dish was served with bread rolls and sautéed vegetables, the same way as many of the Anglo-Indian dishes are presented in Kolkata. 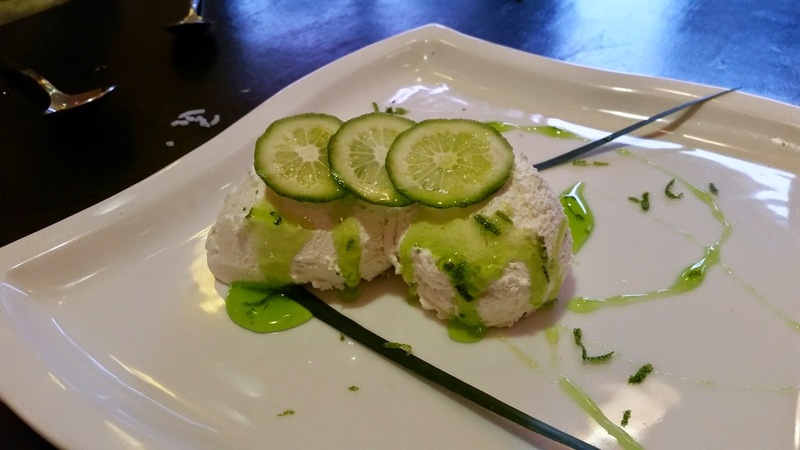 For dessert it was the unanimous choice – we were told that the Gandharaj Souffle at Bohemian rocks. Lately we have seen this flavorful lemon, which is predominantly found in East India, being used in a lot of dishes – starting from Gandharaj Bhetki, mutton and even ghol. The soufflé at Bohemian has the fragrance of the Gandharaj emanating from the special lemon sauce.The styling of the dish with lemon sauce and slices of lemon made it look extremely appetizing and the taste did not disappoint too. We wanted to try many more dishes – but were constrained by our appetite on the day, as we were coming out of food extravaganza called Bengali marriage for the previous three days. Some items which looked interesting to me were the Pachforon Flavored Chicken Escallops, Bhetki in Aam Aada Sauce, Mutton with Green Mango and Cheese and Malpua Cheese Cake. 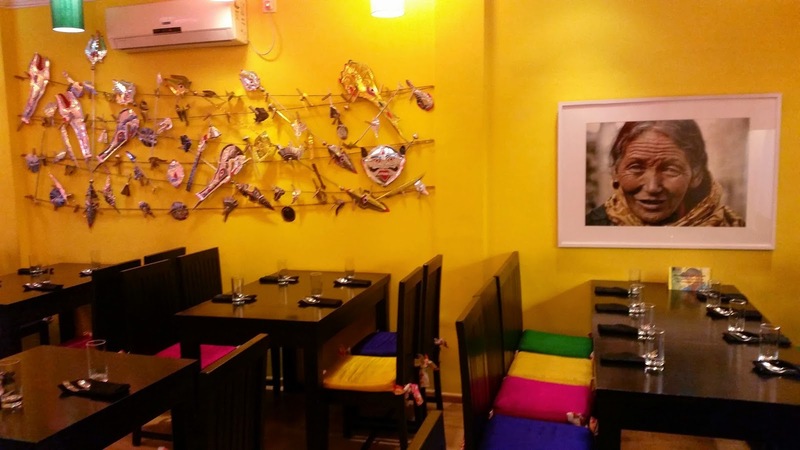 I was extremely impressed not just with the food, but also by the fresh approach to tweak the Bengali cuisine, and experiment with the ingredients. I would surely revisit during my next trip to Kolkata and try out some more from their offerings. Bill for the above items came to around Rs 1900.
the portion sizes are pretty good! I can never go beyond one dish at a time. Yes, it took the three of us to finish all that. Thank you Indrajit. It is surely a great place.